Calcific aortic valve disease (CAVD) is a leading cause of cardiovascular morbidity and mortality, and its prevalence is expected to increase in the aging population of the developed world. Currently, no noninvasive therapeutic strategies exist to prevent or treat CAVD. Though the advent of new valve replacement technologies have improved clinical outcomes, these techniques remain suboptimal for the two populations most at risk for valvular complications—pediatric and elderly patients. Recent advances in basic research have shown that CAVD arises through active cellular mechanisms, offering hope that drugs can be developed to target relevant pathways and provide new clinical options for CAVD patients. 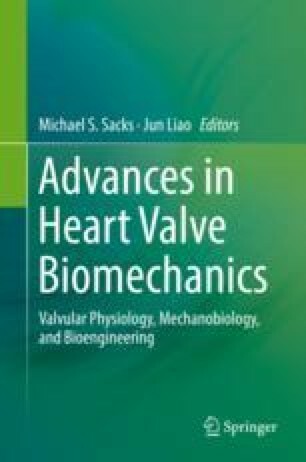 Translating these benchtop discoveries to clinical realities, however, will require both a holistic understanding of how targetable cellular level processes affect valve tissue function and the ability to identify early CAVD development in patients. This chapter addresses this translation by reviewing the current state of CAVD research and the ongoing efforts to meet the clinical need.